Catharine Macaulay became famous overnight. She shocked the British public not with her beauty (she wasn’t very pretty) nor a scandalous affair with a man (that would come later). She owned her fame to her pen. 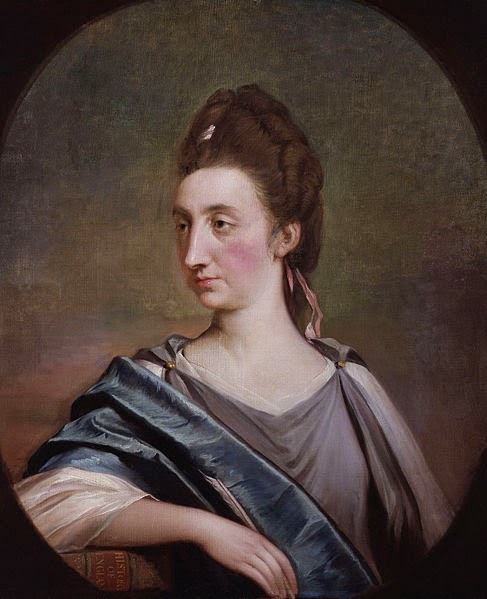 In 1763, when she published A History of England (Volume 1), she became the first female English historian. No one believed that a woman should, or could, write such a book, but when they read it, they were hooked. Catherine had a flair for storytelling. How she became obsessed with history is a mystery. In her book, Catherine, who had been privately educated at home, claimed she had been an avid reader since early childhood. Her favourite books, she declared, were the histories of the Greek and Roman Republics, which instilled in her a love and appreciation for liberty. But, to her friend Benjamin Rush, she told a different story. She had never been interested in books and knowledge until one day, when she was 20, she picked up an “odd volume of some history”. If this account is to be believed, this book changed her life. She started writing her first book, the first volume of A History of England, when she was married to doctor George Macaulay, a Scottish physician. The couple tied the knot on 18 June 1760 and then lived at St James’s Place, London. They had one child together, Catherine Sophia. But their marriage wasn’t destined to last long. Six years later, George died. 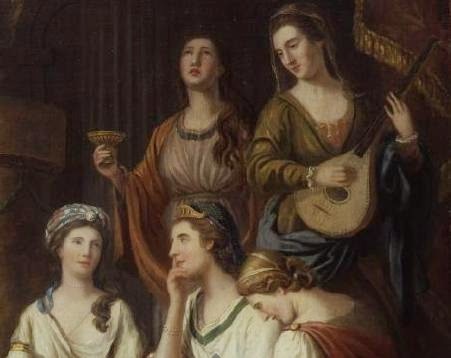 By then, Catherine had already become a celebrity. A History of England had shown everyone that women could write history. And that they could stand up for what they believed in. The history chronicled the period from the accession of James I to that of George I, which the author saw as a struggle for freedom, fought for by “men that, with the hazard and even the loss of their lives, attacked the formidable pretensions of the Stewart family, and set up the banners of liberty against a tyranny which had been established for a series of more than one hundred and fifty years”. Unfortunately her contemporaries had forgotten where the privileges they enjoyed had come from, which is why she chose to write about this particular period in English history. 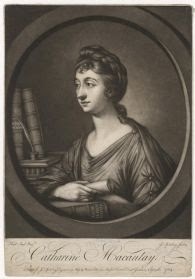 Catherine would publish many other works about history and politics, expressing her opinions on what the best form of government was and how a country should be run. She championed Republics, which could be created only by virtuous people, supported the American Revolution, opposed Catholic emancipation, and justified the execution of Charles I by claiming that when a King becomes a tyrant he forfeits every right to government. Her views became more and more radical as the years went on, losing her many supporters. Even more of her friends dropped her when she remarried in 1778 to William Graham, a man about 30 years younger than her. William was the younger brother of James Graham, a Scottish quack-doctor she had met in Bath. His cures seemed to work for her, prompted the historian to endorse his services. James fell for her and proposed marriage twice, and Catherine may well have accepted if she hadn’t discovered he was already married. Apparently, he told her “the excess of his passion had made him forget that circumstance!” Instead, she tied the knot with his brother. In 1784, Catherine and William, who had become an Anglican minister, went to America, where they stayed with George Washington at Mount Vernon for a while. He also furnished her with a lot of material to write a history of the American Revolution, but nothing came of it. Instead, she started writing a History Of England From The Revolution To The Present Time, but only completed the first volume. Catherine and her husband were back in England in 1785. She would die here, in Binfield, on 22 June 1791.